With Archadeck of Columbus’ staged building program you can be a winner too! 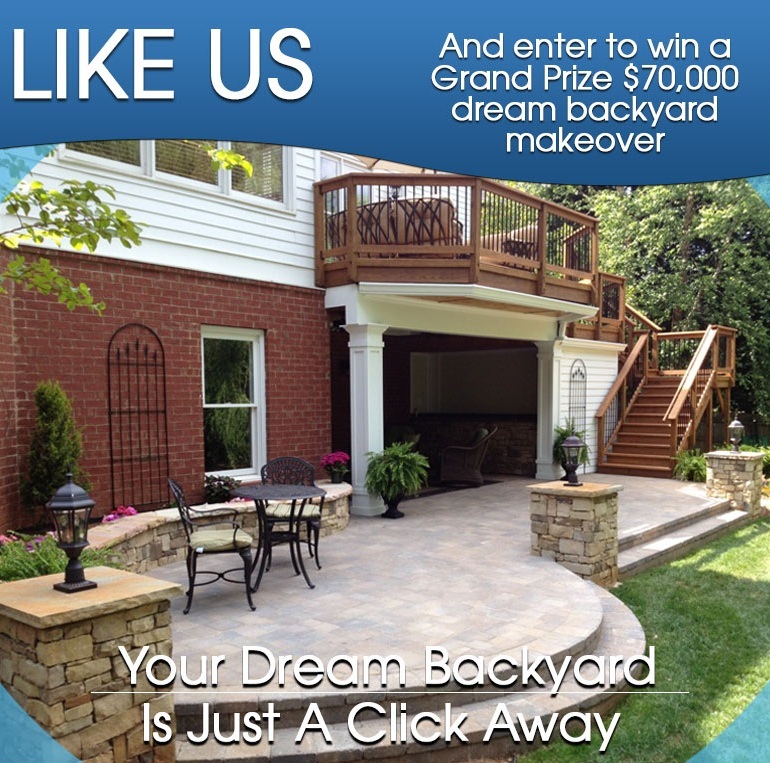 As the time ticks away to enter our Archadeck Dream Backyard Makeover contest, we urge you to dream big. Our staged building program can also deliver the backyard of your dreams over time and according to your budget making you a winner no matter what the contest results say. 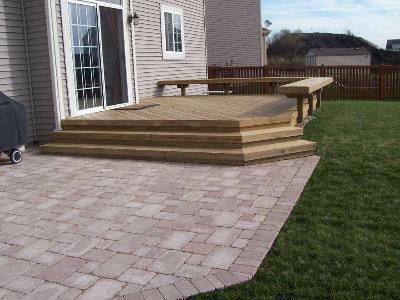 The end of March is just a short time away and our Archadeck 2013 Dream Backyard Makeover contest is still going strong. Two more finalists have yet to be chosen for March so now is the time to enter. Unfortunately there will be a lot of people who enter the contest that will not win, but our advice is to dream big and keep those entries rolling in! When you visualize your dream backyard, think about all the use and functionality of the spaces you want before you submit your entry. For example you may want to start with the primary structure such as a deck or porch and allow your other areas to feed off this to further function and enjoyment of your dream space. Many of our customers design their outdoor spaces using staged building. Staged (or phased) building enables you to plan your dream backyard over time. With staged building we can develop a plan that encompasses an entire outdoor space to be built in stages as your budget and lifestyle allows. We assist in planning your perfect outdoor oasis and ensuring all the structural footwork is in place to facilitate future additions. Archadeck of Columbus met with a homeowner just last week that wanted to build multiple structures over time. We prepared a grand plan showcasing the project in its entirety. We then priced out different segments as a starting point to his dream backyard. Archadeck of Columbus can also work with your pool company, lighting company and your landscaper on the structural components we need to proceed with your grand backyard design. When the time comes and you want to explore what a staged building project might cost you can contact us. Our primary goal during our initial consultation is to understand your needs, wants, budget and priorities to come up with a plan for you. This outdoor space incorporates many levels of function and beauty in it’s design. A good example of a dream backyard. Being in the business of outdoor living, my wife Carol and I have mapped out our dream backyard. It will include a screened porch to deliver safety from inclement weather and insects. 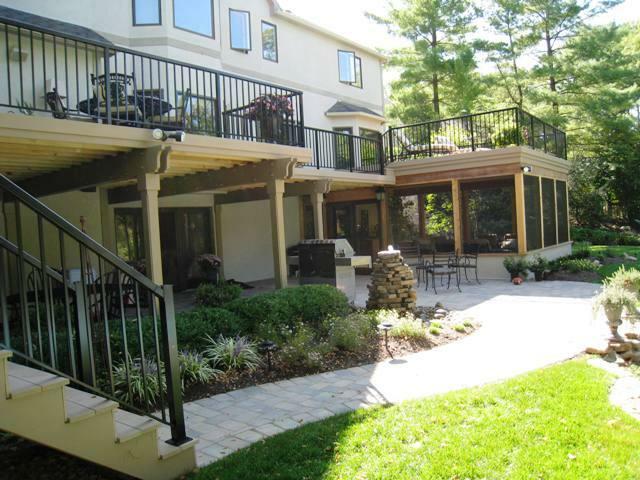 We would incorporate an adjacent deck flowing from the screened porch. Our ultimate outdoor dream includes a rustic inspired outdoor fireplace with a multi-level patio used in conjunction with the deck. We would use the deck or patio to house tables and chairs for dining and designate the lower level patio for relaxing and conversation. We even have a vision of that lower level including an exterior fire pit or custom water feature. Even though we haven’t built our outdoor oasis yet we would consider the orientation of the sun to our home. For example, our home faces south therefore we would want a roofed structure to provide shade. This patio and deck combination matches the exterior of this home beautifully and also includes a sailor course border for added contrast. Please visit our decks photo gallery and our patio and hardscape photo gallery located on our website for more dreamy backyard ideas.